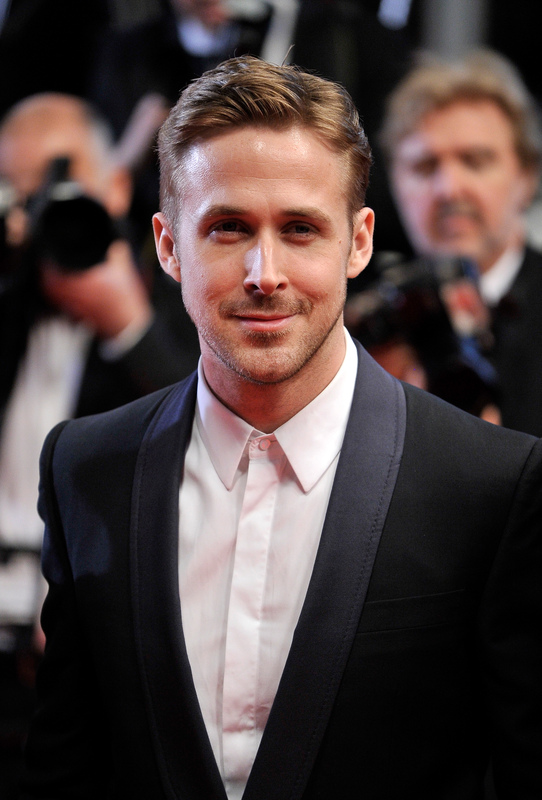 Hey girl, Nov. 12 is Ryan Gosling's 34th birthday! First, let's wish this gorgeous man (inside and out) a very happy birthday! Also, I feel like I need to put it out there: Ryan, if you're looking for someone to celebrate with, I'm available. Next, let's talk about how amazing he is — by which I mean a topic we all love to indulge in, right? Whether we're watching his movies on replay, or browsing for shirtless images of his perfect abs, or trying to get a glimpse of his baby girl that is probably freaking adorable, or crying in the corner over the fact that he's dating Eva Mendes, fans just can't get enough of Gosling. Let's face it, some of us have an unhealthy obsession with The Notebook star. Well, I think we should continue to satisfy that obsession by focusing on some Ryan Gosling quotes. I could talk about how he sees romance, love, and women, but seeing as we're celebrating the day of his birth, growing up, and becoming a year older, I thought it'd be fitting to look at how he views life and getting older. With that said, here are six simple quotes showcasing Gosling's thoughts on being an adult and what it was like for him as a kid. "Sometimes I think that the one thing I love most about being an adult is the right to buy candy whenever and wherever I want." He loves candy, and he's so right. As adults, we can indulge in the sweetness of candy whenever our hearts desire. What a smart man. "I've learned it's important not to limit yourself. You can do whatever you really love to do, no matter what it is." Even as we get older, Gosling believes in going after your dreams and to follow your heart. Seriously, he's just full of intelligence. "I went through puberty in a theme park. I'm grateful. That place was a landscape to me. I had adventures every day." What kind of "adventures" are you talking about? Huh? I'm going to need you to elaborate, especially since you're referring to his days as a Disney Mouseketeer. Thanks. "I started reading all these men's magazines, trying to follow all the tips: what you're supposed to wear, what you're supposed to have, things you're supposed to say, and all the exercises you're supposed to do." See, Gosling is a "real" person too! He browses magazines for tips on health, fitness, and fashion. Wow! The stars are really like us normal folk. "I turned 30 and everyone told me I would feel different and I didn't. So I thought I'd move to New York." When you turn 30, either you deal with it, or you have a break down. I appreciate Gosling dealing with it in a healthy manner aka moving to another city. One question remains: did he feel different as a 30-year-old living it up in the Big Apple? "I love being Canadian. I think growing up in Canada gives you a world perspective that I really enjoy." Eh? Gosling loves being from Canada, and we love him for it. Apparently, the country gave him all he needed to become one magnificent man. Hey girl, keep the life quotes coming! Once again, happy birthday to the man who satisfies all my needs as Noah Calhoun.